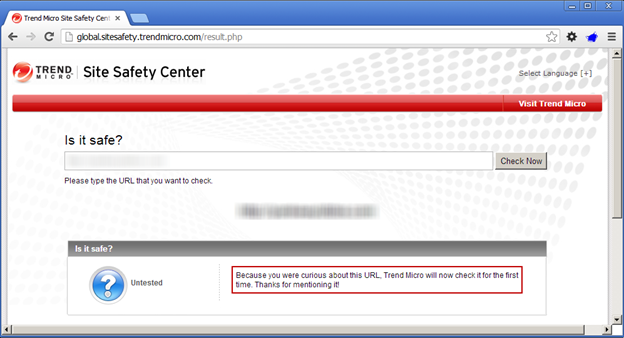 This is the final part of a three part series covering how to handle potentially malicious URLs and IPs. In Part 1, Deobfuscating Potentially Malicious URLs, we laid the groundwork by covering policy, unshortening and deobfuscation. In Part 2 of the series, Attributing Potentially Malicious URLs we continued with WHOIS, geoIP, and IP to URL. 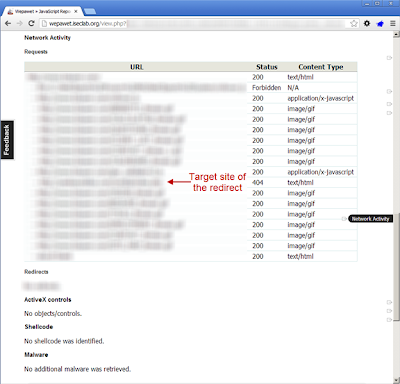 Finally, in Part 3 of this series (Evaluating Potentially Malicious URLs) we'll will finish up with reputation and evaluating content. 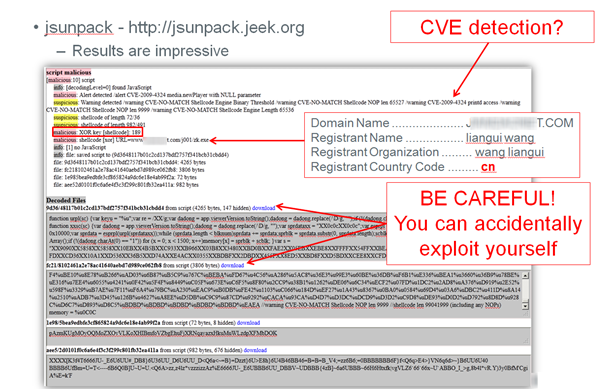 IMPORTANT: Do not directly navigate to any sites that are present in this article. Some of the sites may no longer be available by the time you read this but I wouldn't press your luck. Asking McAfee or Symantec for a reputation means they will query their database of knowledge—thus it is different than asking a company or organization to evaluate a site for content—but the line can become blurred. 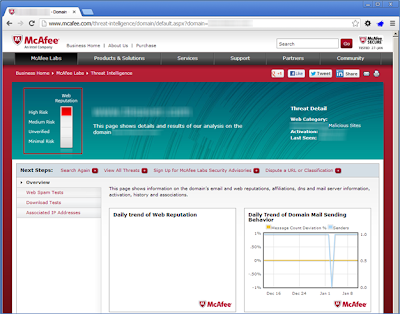 For example, other security companies or organizations must first evaluate a site’s content in order to derive an opinion. 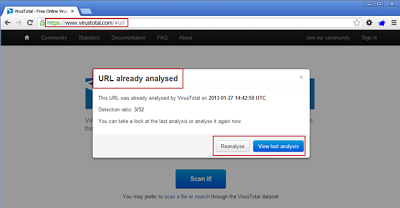 Sites such as VirusTotal will let you know if they have already evaluated the site and will give you their immediate opinion or they give you the option to have them evaluate the site again. 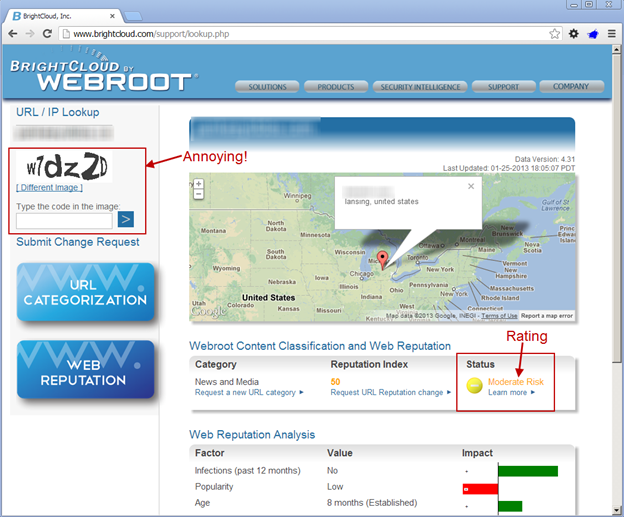 This is a perfect example of a site that does both—evaluate a site and provide their opinion of reputation. 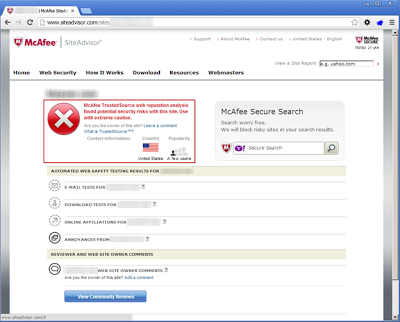 McAfee has two different pages that can provide IP/URL reputation: http://www.trustedsource.org/ and http://www.siteadvisor.com. First up is Trusted Source which provides a site’s web and mail reputation (if available). While this does not provide much detail, it is usually fairly accurate. 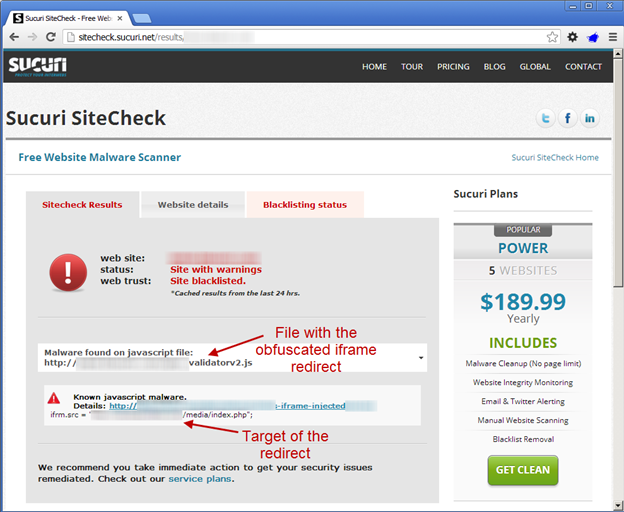 Next is SiteAdvisor which is traditionally known to be a browser plugin that provides the risk ratings of Internet websites, however the site itself allows you to query for a particular site’s reputation. 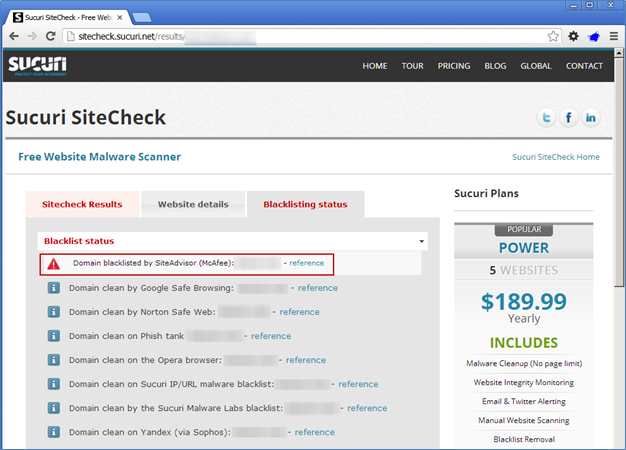 SiteAdvisor also has a high risk rating for our Blackhole TDS and second stage site. In this case both Trusted Source and Site Advisor accurately identified our Blackhole TDS site AND the second stage redirect site as high risk sites. IronPort's SenderBase has email and web reputation however a big downside is that it's a bit skimpy on details or reasoning (even after clicking more details). 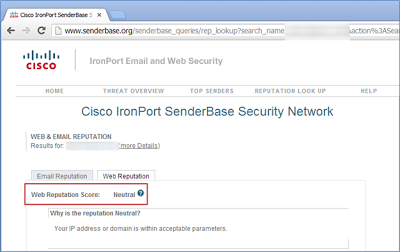 Web of Trust operated in similar fashion to Cisco IronPort’s SenderBase, missed identifying the TDS server, however did correctly identify the second stage site as being dangerous. 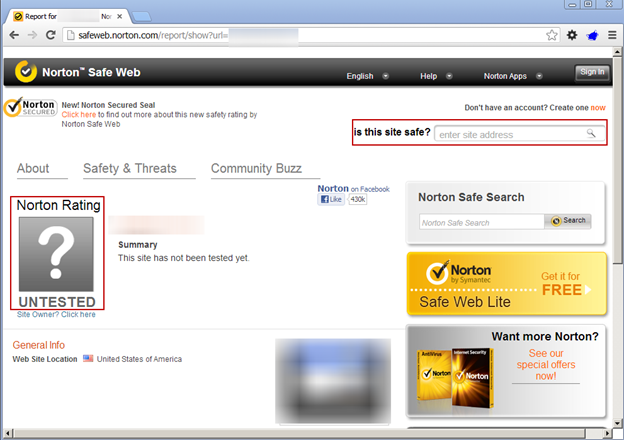 Norton’s Safe Web reputation system is very similar to McAfee’s SiteAdvisor and worth checking out. In this particular case, they had no reputation data on our Blackhole TDS site or the second stage server that is the target of the obfuscated iframe redirect. 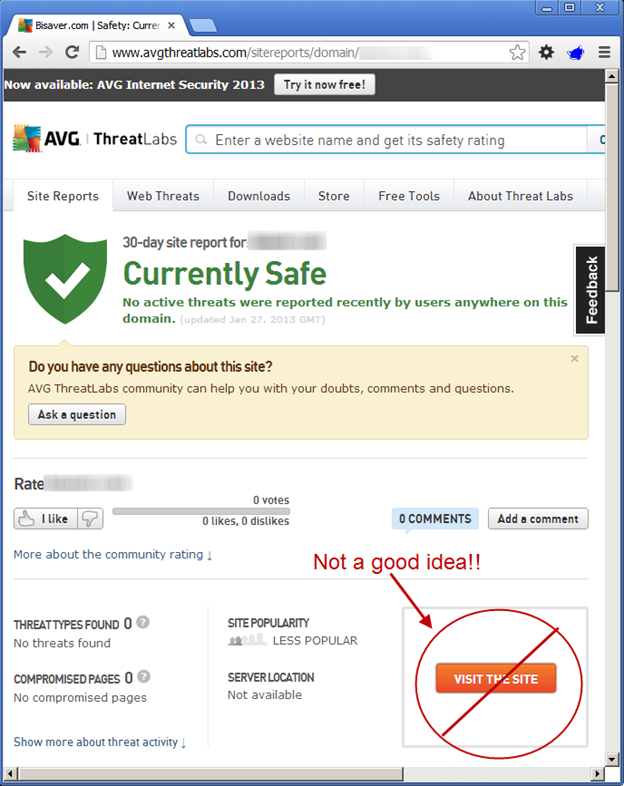 While we would recommend checking AVG Site Reports for their opinion on a site, we do not recommend their button to visit the site. 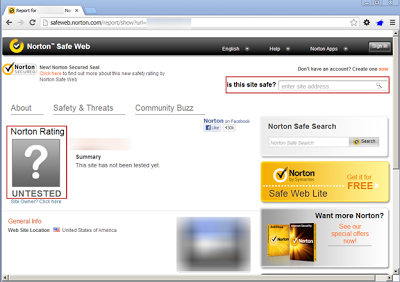 I know it is marketing for their product, however there is an option to visit the site unsafely which will send the user there. 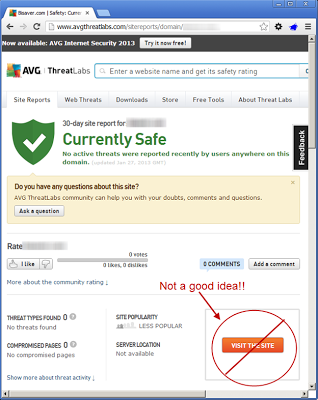 Unfortunately in this case, AVG missed both the first and second stage attacker servers with a rating of “Currently Safe”. 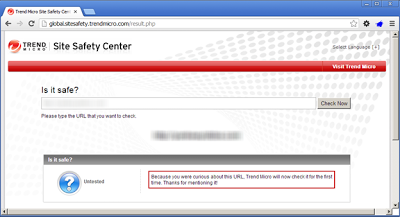 Fsecure’s Browsing Protection results are similar to Trendmicro’s. 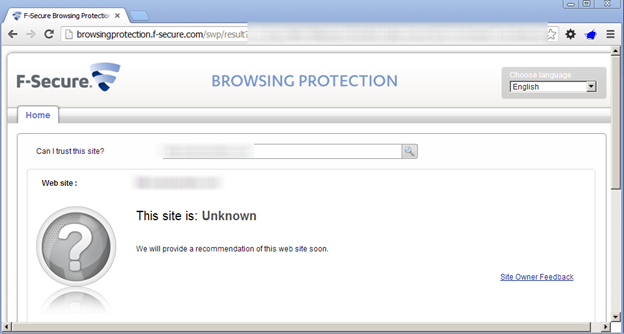 Both sites classified the TDS site as safe and then had never heard of the second stage site—but will now go get their opinion. 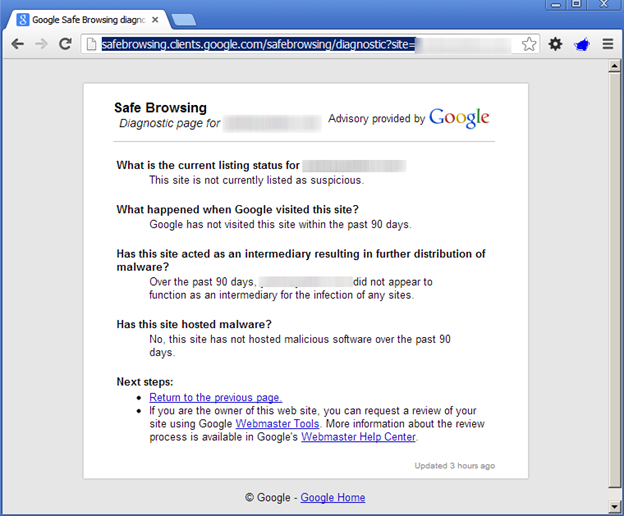 Google’s SafeBrowsing (http://safebrowsing.clients.google.com/safebrowsing/diagnostic?site=[enter_site_here]) unfortunately, missed both the first and second stage sites as well. 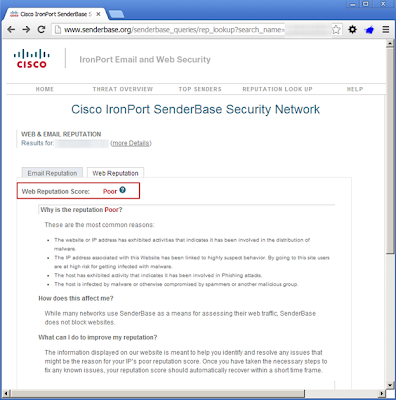 Webroot’s BrightCloud missed the first stage TDS site like so many above; however they did state that the second state site had a moderate risk rating (similar to Cisco and mywot). 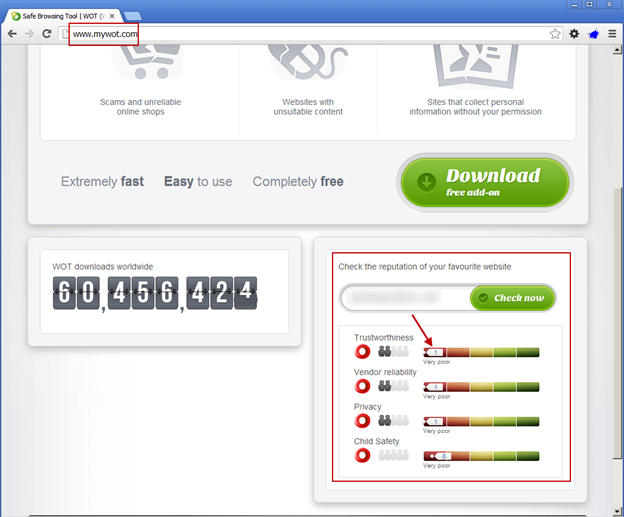 The only problem with this site is the annoying captcha on the left hand side. Ugh! 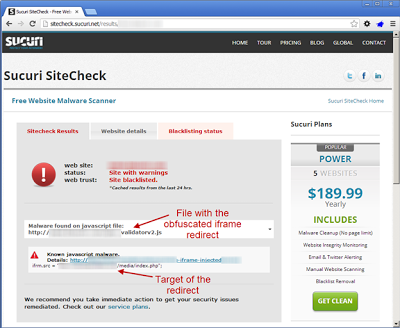 For sites that do not rely on their previous knowledge, they must evaluate the current state of the site when you ask for it. We are splitting this category into two sections—services that run multiple scan engines and services that utilize their own evaluation engines. 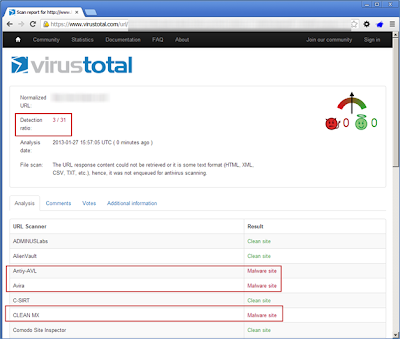 When most people think about a site that will utilize multiple scan engines to provide results, they usually think of VirusTotal and they are not wrong in doing so. 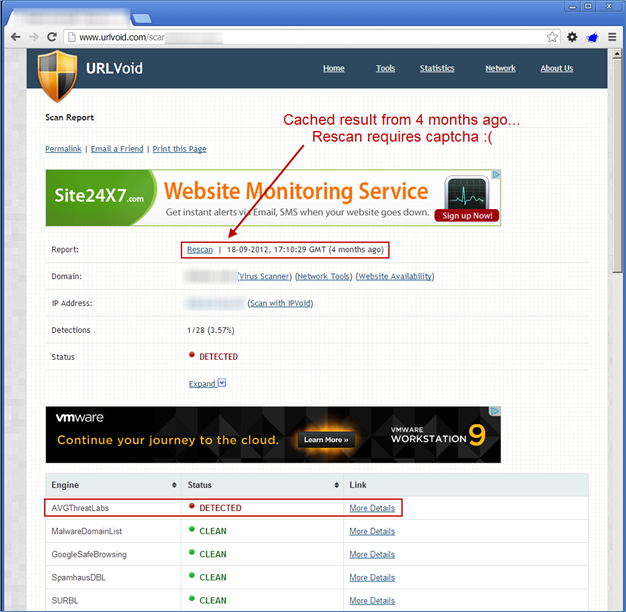 That site is very good at using multiple scan engines, however VirusNoThanks also has URLVoid and IPVoid services that are quite good as well. 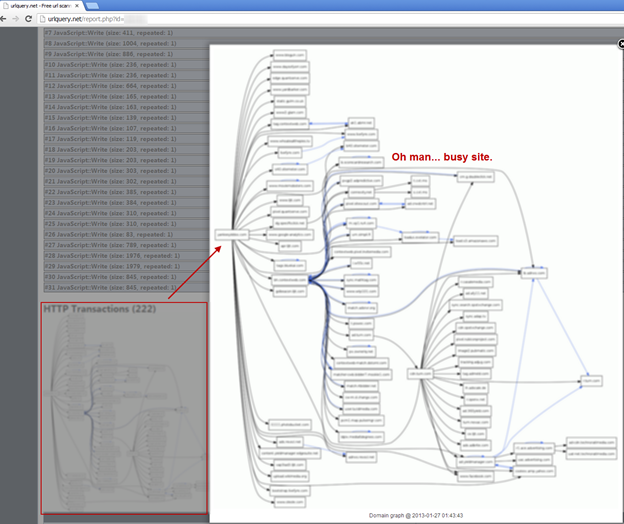 The best thing about using both sites is they don’t have too much overlap in scan engines. 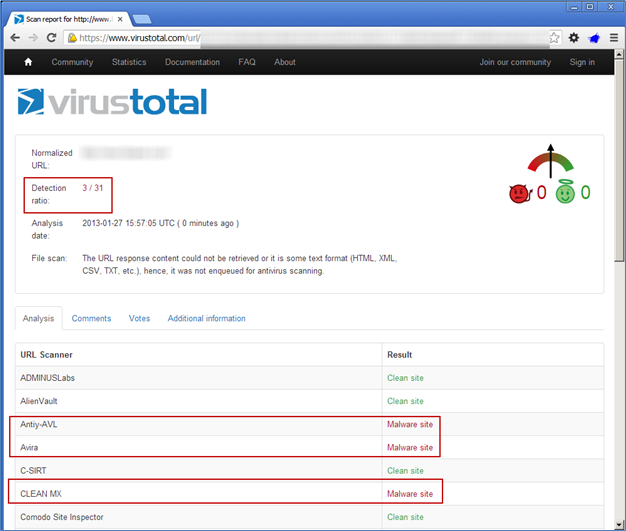 One nice feature about VirusTotal is that it stores a history of previous queries. 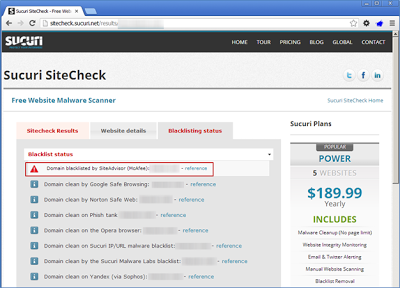 Because it does this, it can very clearly alert you if it already scanned a site, when it scanned the site, and the detection ratio of its scan engines. 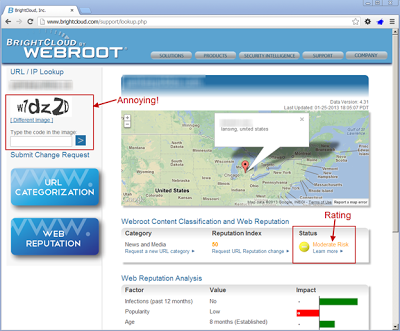 It prompts you with the option to Reanalyse or View last analysis. The makers of NoVirusThanks have created two services for scanning potentially malicious URLs and IP addresses—urlvoid.com and ipvoid.com. 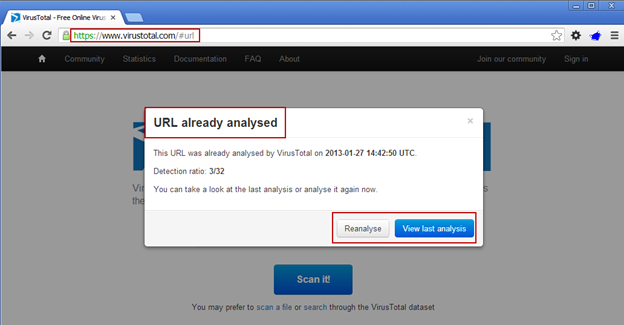 Because URLVoid does not use the exact same scan engines as VirusTotal this makes a great second reference! 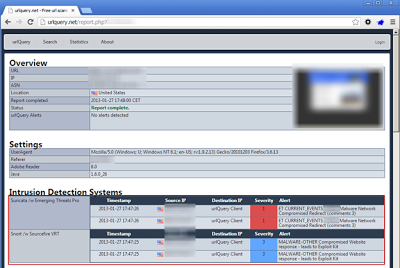 It is very subtle, but in the scan results below—notice the report field. 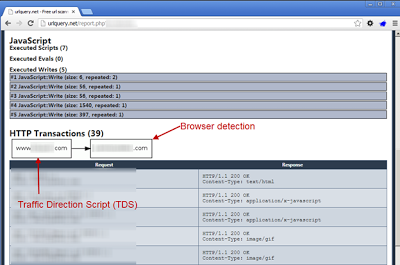 It indicates that the data is 4 months old. 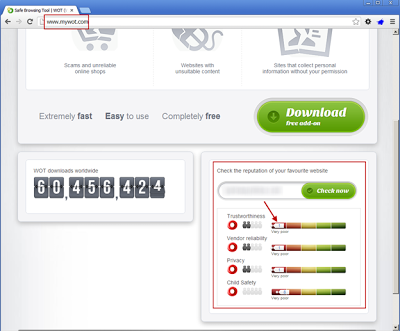 It does provide the option to rescan the site; however it requires the user to enter a captcha. Overall these sites are very valuable in providing multiple perspectives on a site’s maliciousness, but for the most part they stay at the surface. 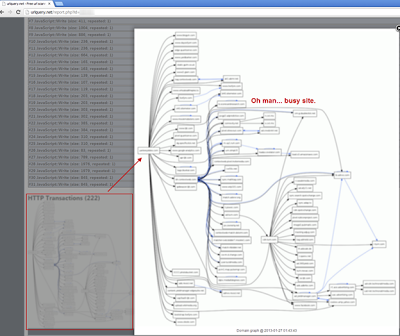 Even though both sites do display a little more detail than just good or bad, it does not go into depth the way the next sites will. This is great for a first gut check and also for people that may want to stay at a higher level with just a good or bad rating, but others may need to dig deeper and provide more context about why the site is bad and what it is doing. 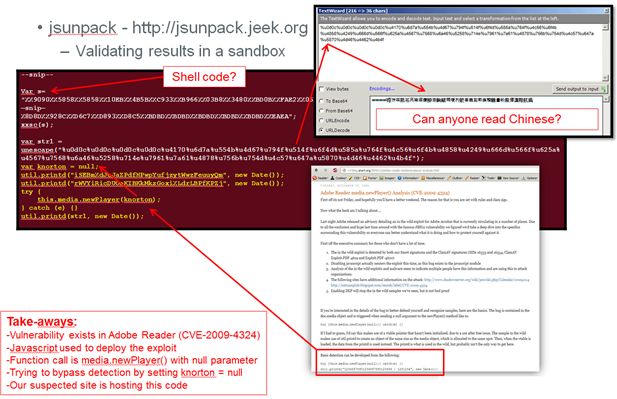 Jsunpack and urlQuery are our top picks in turns of providing detailed, yet actionable information. Both have different detection mechanisms, but they are complementary and not redundant. That is no lie either. We were very impressed with their thoroughness and exploit detection. Additionally, the advanced settings allows you to set a User Agent and a referrer and lets you know what version of Adobe reader and Java they are running. The second stage site is blacklisted by both McAfee’s site advisor as well as Sucuri Malware Labs. Thanks goes out to Vimal Navis of McAfee and Kerry Steele and Drew Thompson of Foundstone for recommending some of these great third party resources. Another well-written article. Thanks for the reviews and tips...Definitely a good place to start for analysis.